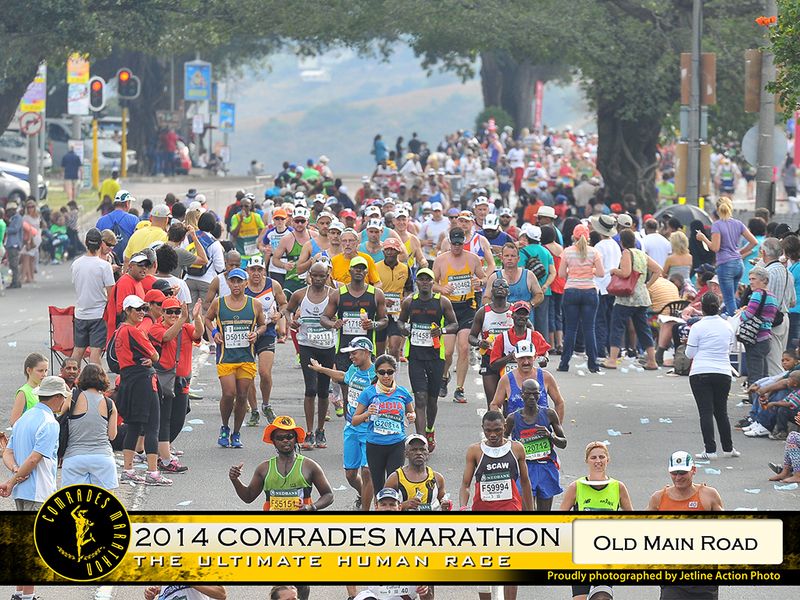 The Comrades Marathon is the world’s oldest and largest ultramarathon run over a distance of approximately 90 km in South Africa. 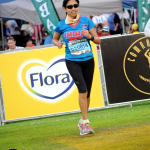 Mom on the run salutes Rashmi for her guts, grit and determination to take up the challenge. Her journey in her own words…. 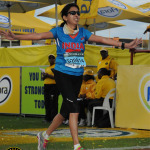 I started road running and long distance running in 2010. 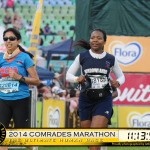 By 2013, having done many HMs, a couple of marathons and a 50k ultra, I was itching for a challenge and with that I got bitten by the Comrades bug. But by the time I made a serious self commitment, the registration date was over for the 2013 run. To make up for this lost opportunity I signed up for the 50mile (80km) race at Bhatti Ultra event in Oct 2013. In hindsight, it was a good decision to have done that long an ultra run at home turf – it gave me the confidence that I can be on my feet for 13 hours. 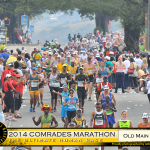 On Nov 30th – last date for Comrades registration – nervous and anxious I took the plunge and registered. That was the start of the tough part of convincing family and training for the race. I had great support from my running group Ultrons and the group made sure I had running partners for each of my long hilly training runs sacrificing their personal time as the Jan- May period is typically a non- running season. 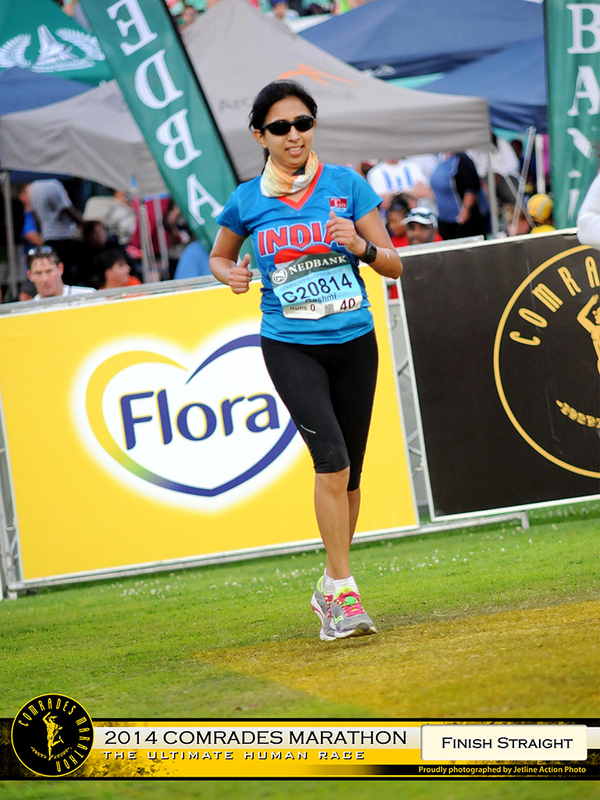 With confidence from my last few super training runs, I was at the start at Pietermaritzburg at 5.30 am on June 1st, 2014. The weather was perfect. The only other important thing was getting the nutrition right to be able to sustain 12hrs on feet. I decided to have coke every alternate aid station, water as soon as the lips felt dry and gels every 10km. And thankfully the plan worked beautifully. After the traditional singing of the SA national anthem, Shosholosha and the instrumental Chariots of Fire, the gun went off. It took me 9 minutes to reach the start as I was way at the back in Wave G. The first 1-1/2 hr was in the dark but not lonely. It was like a running rally. I also heard the bagpipers playing and enough locals along the route cheering us on. And somewhere running in that dark, we crossed the first of the big hills – Polly Shorts. I was told that the race has 5 big hills along the way. Far from the truth. There were 5 big hills and numerous smaller but tough climbs. From the beginning I decided to run up 1/4th of the hill, slow down for the next half and walk the rest of the hill. That’s a different thing that by the time we hit the 4th big hill, I was so tired doing the up-down on that undulating terrain that I was walking 3/4 of the hills. We were still herded together till almost mid way point so much so that the overtaking all through the route, the zig zaging made me run almost 750m more by the time I reached the finish. I reached the 40km mark quite strong, chit-chatting with the runners, high fives to young kids, waving at the crowds, supporting and being supported. 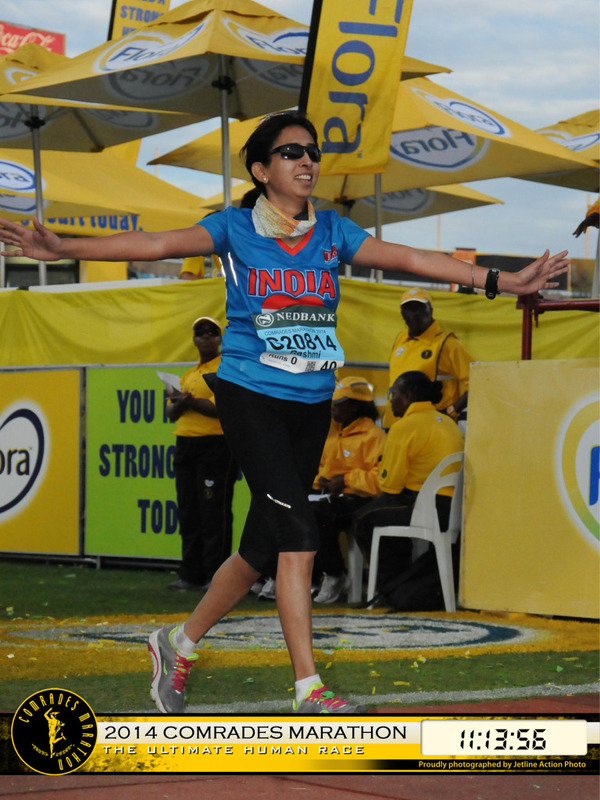 And that’s when the mighty Inchanga came in – almost 2 kms of uphill, before an equal drop to the midpoint. It had a beautiful sight of the valley and so I decided to slow down, did a run-walk and enjoy the sight. You don’t try and race the Inchanga… never !!! Reaching the mid-point at Drummonds was really encouraging – Loud music, great crowds !! My next target was 58k as I had my family waiting for me there. But to get there I had to climb out of Drummonds with a 5km uphill to Bothas Hill – deadly stuff!!! So it was back to more of walk less of run, chit chat and just thinking of the finish line that made me reach the top of Bothas.. But for what – a non-stop very steep downhill which went on and on and on…but familiar faces at 58k mark was encouragement enough to continue running- it was just 31k more to go. By this time I had determined not to stop at all – stopping will not make my pain go away but each step forward will take me to the finish line. I soon reached the outskirts of Durban and was overwhelmed and encouraged by the “go team India go” shouts – people brining in food, water asking me about my health etc.. And cheering me with “you are looking good” !!! The crowd support all along the way with medicines, food, water, coke and water hoses for quick showers!!! (it turned very warm in the afternoon) was SUPER !!!! But before the finish, I had another big hill at the 71km mark – Cowies Hill. Arrrgh .. I just put my head down and walked / jogged quietly up. A km long hill.. Not very steep but so far into the race and after taking a beating on the downhill, this one sets you straight. Beyond that there were some short steep hills and it had turned warm, so I had to stop at each aid station for coke/ water now. That slowed me down quite a lot. I crossed the last of the inclines with 5km to go and from there it was just running slow and steady to the finish. At the 88km mark near the stadium, I called up family to tell them I am close to the finish line and they should be ready to receive me. And to the shouts of India, India, and Rashmi Rashmi, I entered the stadium, crossed the finish line and claimed my first Comrades medal, finishing in 11:13:56. At the finish, the race director caught me and among other things asked me “will we see you next year” “oh yes!” I replied in an excited delirious state… Hmmmmm. Will I? It takes a lot out of you – the training, the planning, the race.. So will have to see.. But for now I am a Comrade!!! Absolutely inspirational. Amazing story. Stuff of legends. In just about 3 years of running, to reach this level must demand tons of grit and determination. You have all this and much more in abundance ! all the lines full of motivation…. really done great ! Awesome !!! 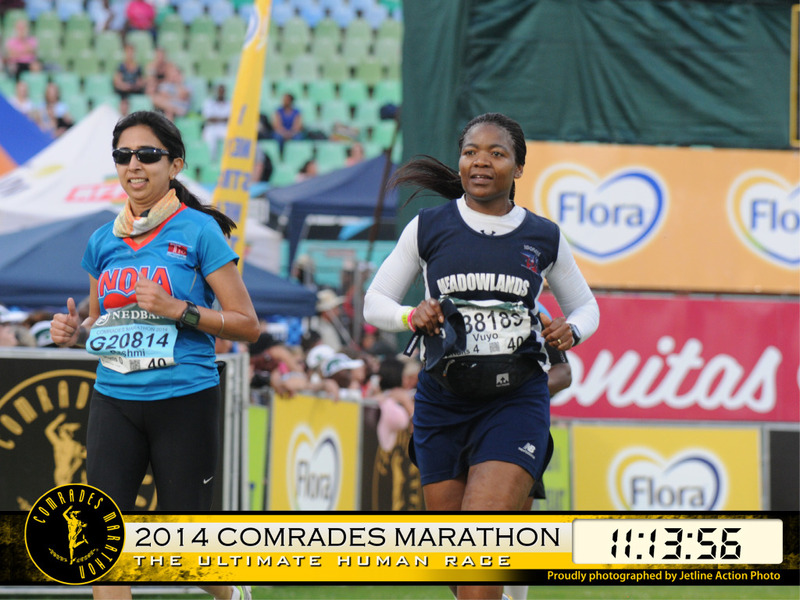 Hats off to you for your first comrades 🙂 Your story does inspire, thanks for sharing. Thank you Anupriya for putting up my story. Thank you Hasan, Ravi and Rinku God your sweet comments. The run and more importantly the trading for it was a great learning for me on my own discipline, determination and limits. Am glad you enjoyed reading it. What an awesome inspiring feat! Thank you so much for sharing Rashmi.